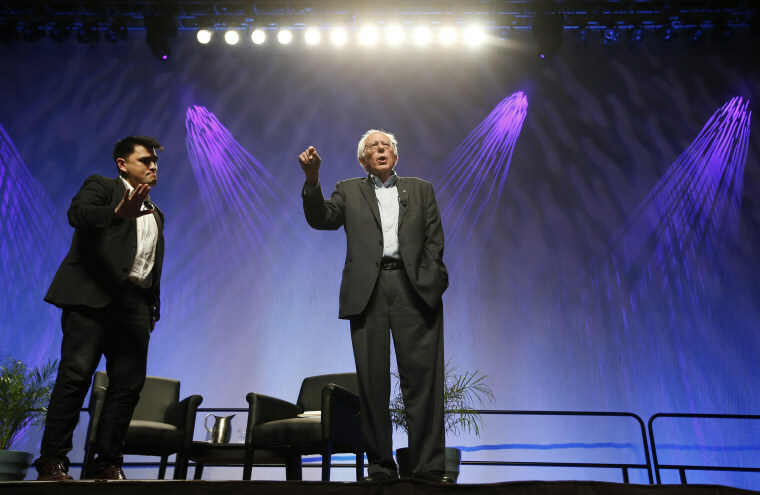 First Read's Morning Clips: Is Sanders 'sputtering'? NBC’s Ben Kamisar sums up five races you might not have heard about on Tuesday night. FL-GOV: Andrew Gillum appeared at a Stand Your Ground protest at Rick Scott’s office. And Putnam and DeSantis duked it out at yesterday’s debate. IL-3: Avowed Nazi Arthur Jones has a write-in challenger. KS-GOV: Thousands of votes remain uncounted as the Kobach-Colyer race comes down to a potential recount. MO-SEN:Ali Vitali reports on the fault lines forming in the big clash between McCaskill and Hawley. WI-GOV: The Wisconsin governors’ race may be decided by education, writes the Atlantic. WV-SEN: POLITICO reports that Patrick Morrisey is leaning on Trump as he fights an uphill battle against Joe Manchin. Oh boy, the Daily Beast reports that Omarosa Manigault-Newman secretly taped conversations with Trump. The Washington Post writes that Trump is hitting a wall when it comes to his plans to curtail illegal immigration. Here’s NBC’s exclusive report on that audio of Devin Nunes.